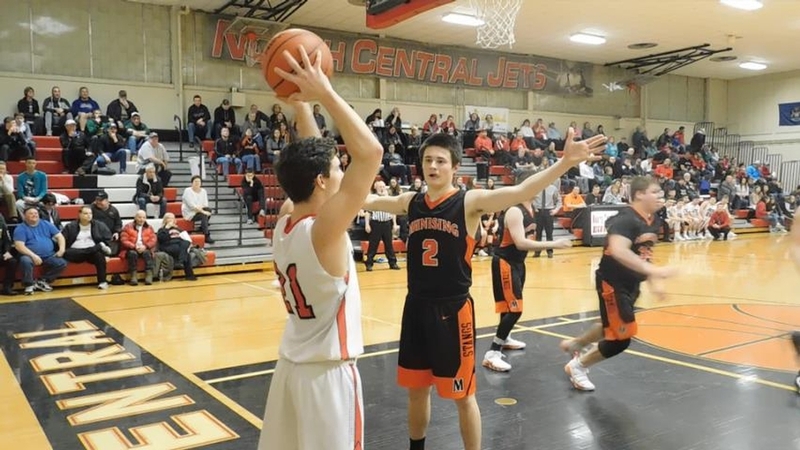 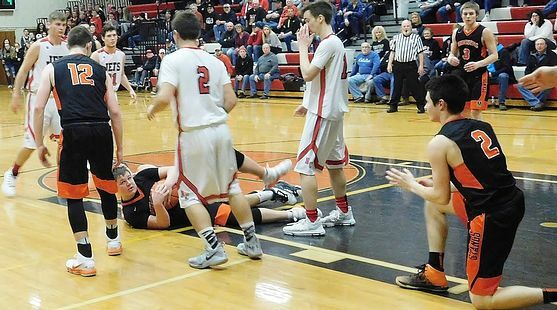 POWERS---The North Central High School boys basketball team had nine players score en route to a 72-56 win over the Munising Mustangs Tuesday in Powers. 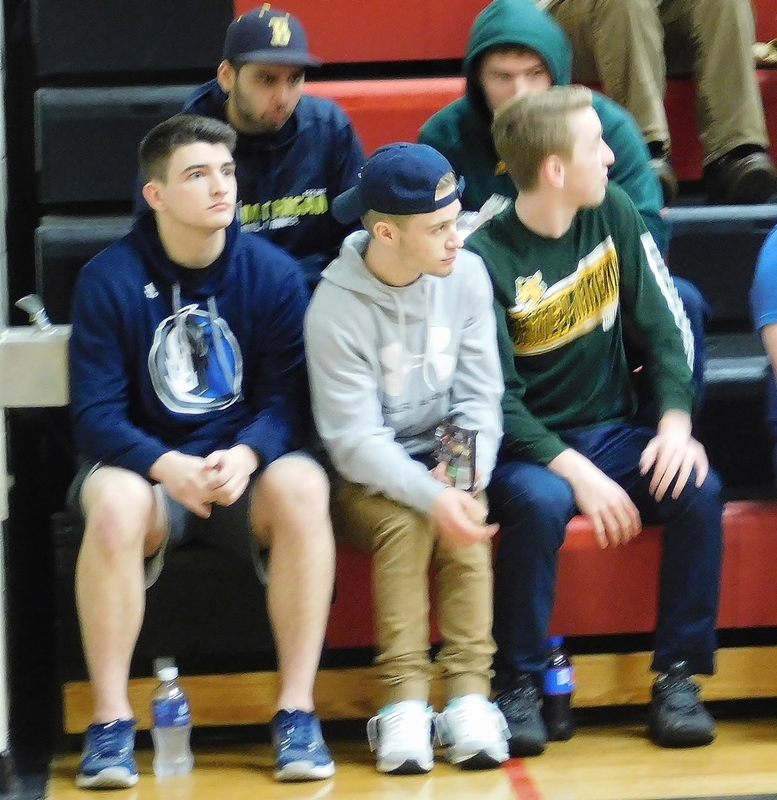 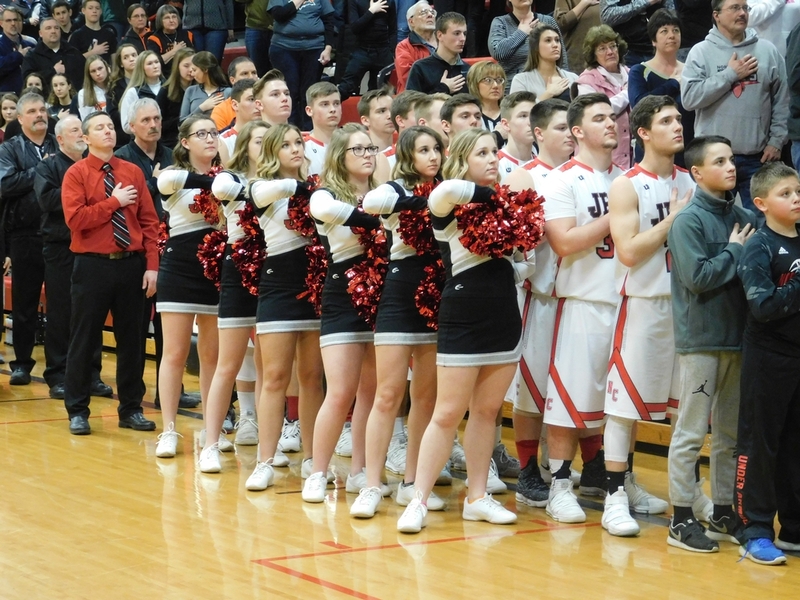 The Mustangs also played Monday night against Carney-Nadeau in a make-up game, making for a tired bunch of boys making the two-hour trip south. 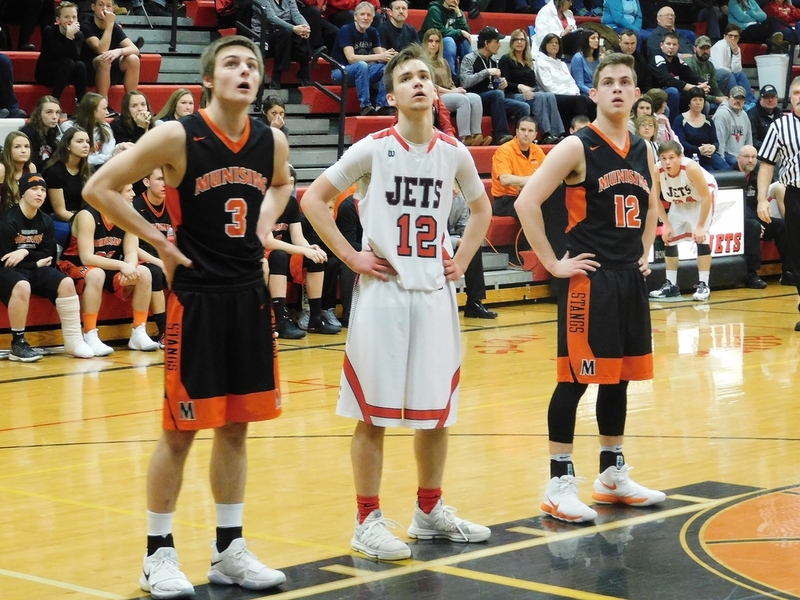 The Mustangs hung in there throughout the first half, as the Jets led, 21-17, after the first quarter, and 40-35 at halftime. 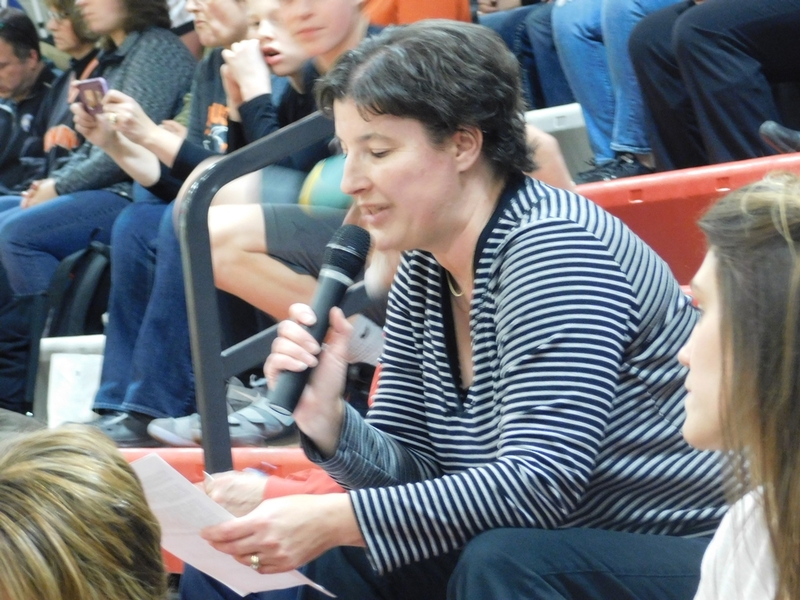 But NCA gradually took control of the game in the second half, outscoring the Mustangs, 14-7, in the third quarter. 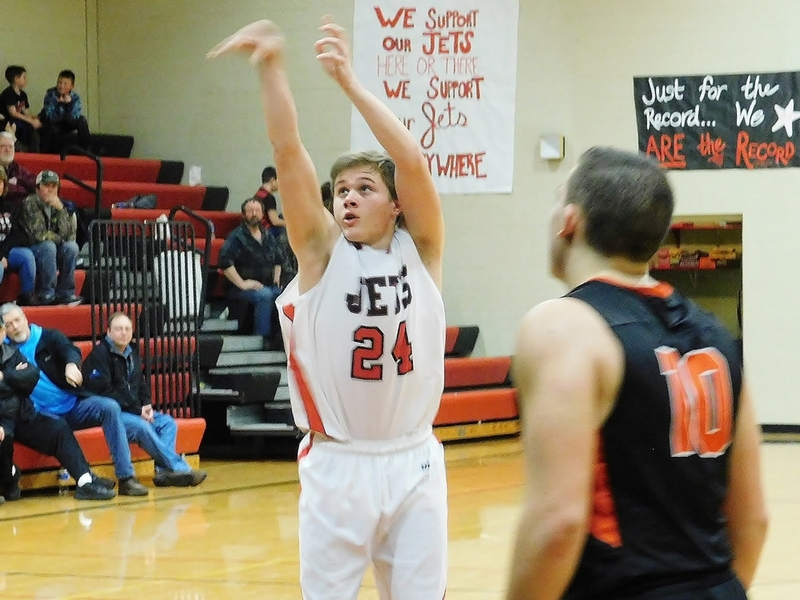 The Jets were led by sophomore Noah Gorzinski, who scored 22 points. 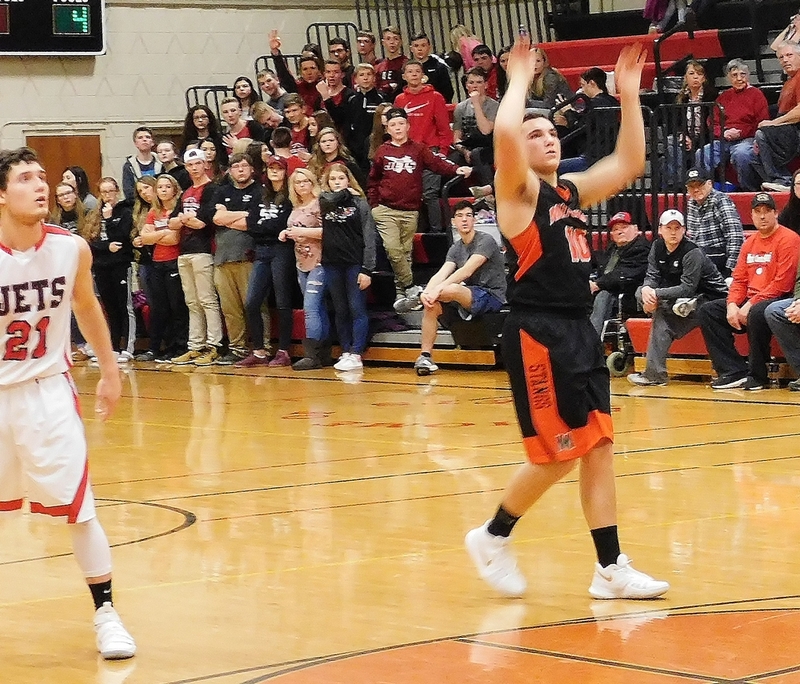 Lucas Dombrowski added 15 points, while Trenton Schaff and Carter Holle each added ten. 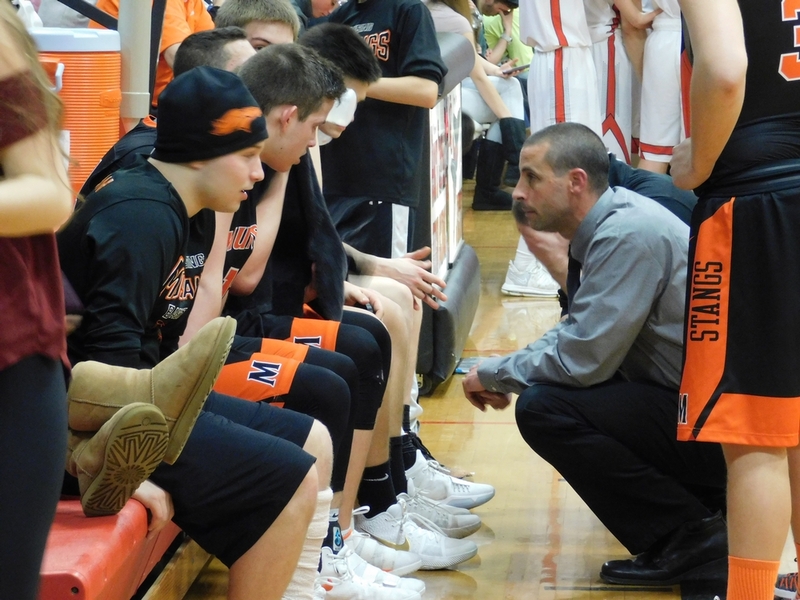 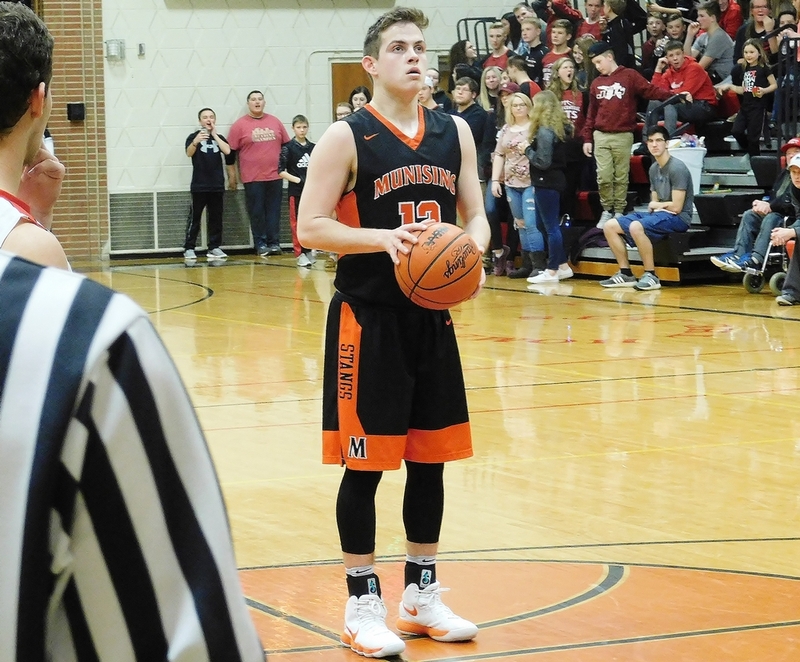 Munising got 21 points from Cade Contreras and Anthony Mattson added 13 points. 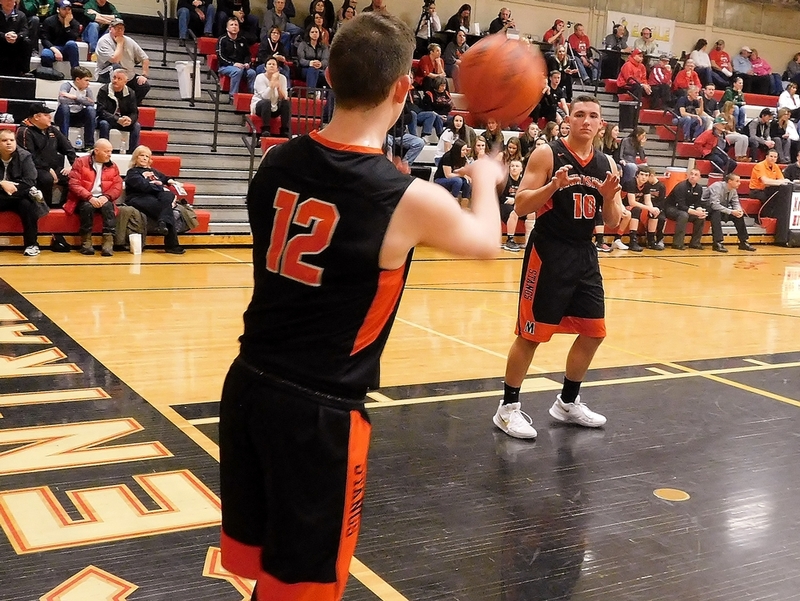 Alec Blank chipped in eleven points, and Jesse Matson scored nine. 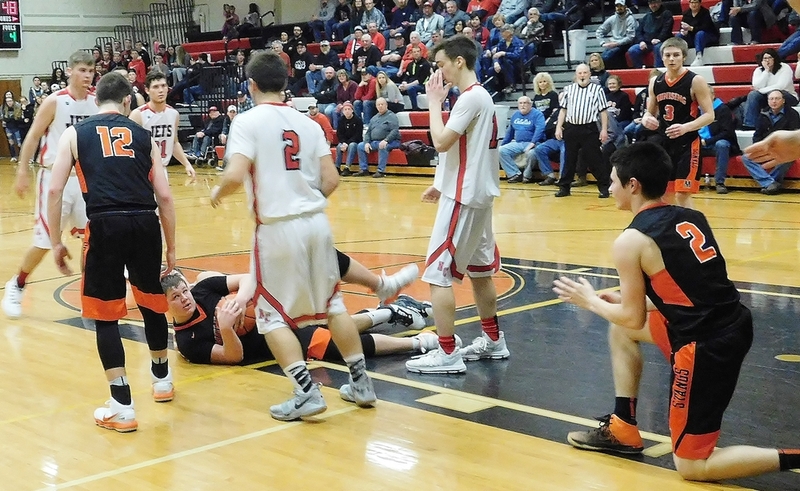 Click the thumbnails in the ARTICLE HIGHLIGHTS box above to see photos, video highlights.